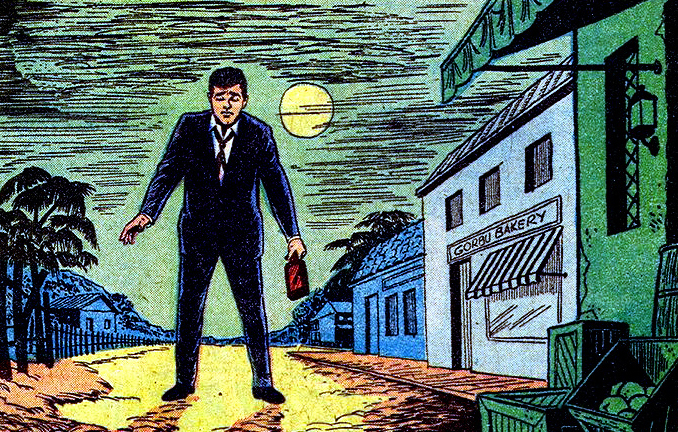 New Funnies Teachings: It's A Scary World Out There! 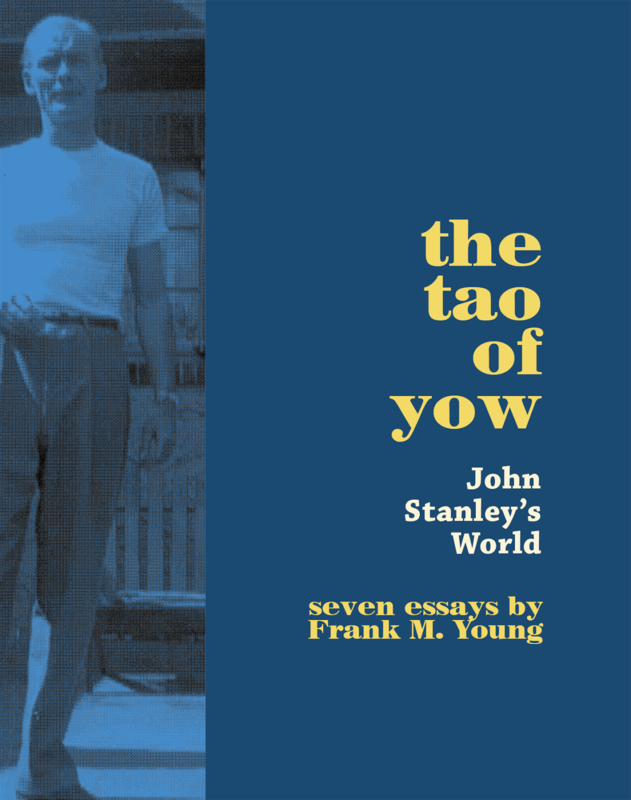 One of the key messages in John Stanley's world is this: the world is a scary place. Funny things may happen, triumphs may be scored, losses bettered, statuses and faces saved... but one never knows what's going to happen--or why. 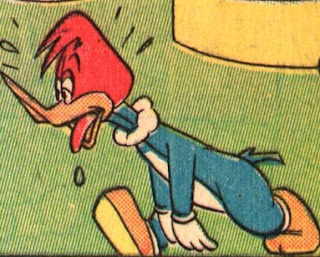 This element, also familiar to readers of Carl Barks' comics, gives these so-called "kiddie comics" an edge seriously lacking in much of what passes for comics, period. This message doesn't require the walking dead, heavy artillery, secret origins or super-powers... to experience the same, the reader only needs to open his or her front door, best foot forward, and step out into the world. 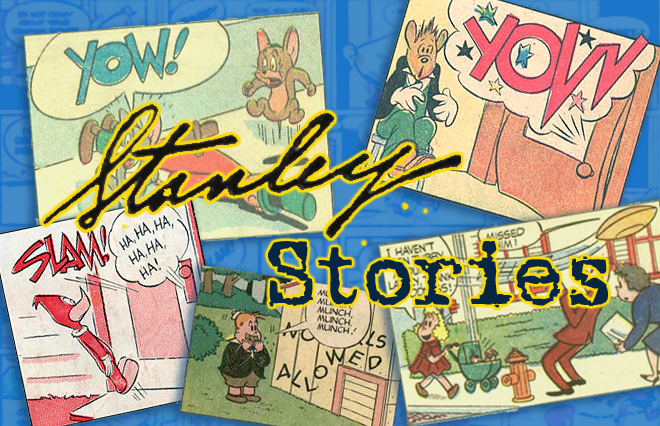 Culled from two issues of Walter Lantz New Funnies (113 and 120), this special "Scary World" edition of Stanley Stories features three stories, and is available as a .CBR file >>>HERE. <<< If you're not hep to the CBR revolution, just rename the file as an .RAR extension, crack it open, and read that-a-way. NOTE: A newly revised and re-uploaded version of the linked file was established 8/17/14. It's on Box.com, and should work for the foreseeable future. Happy 2013! 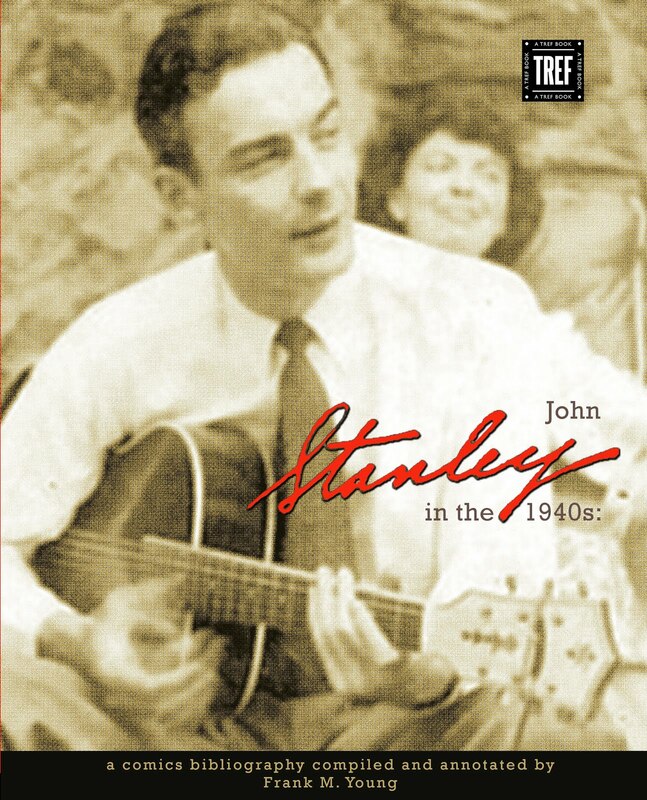 To ring in the new year, I present the complete run of John Stanley's intense, unusual and highly personal "Tramp Doctor." You may download a CBR file (which can be converted to an RAR file by just changing the file extension) HERE. 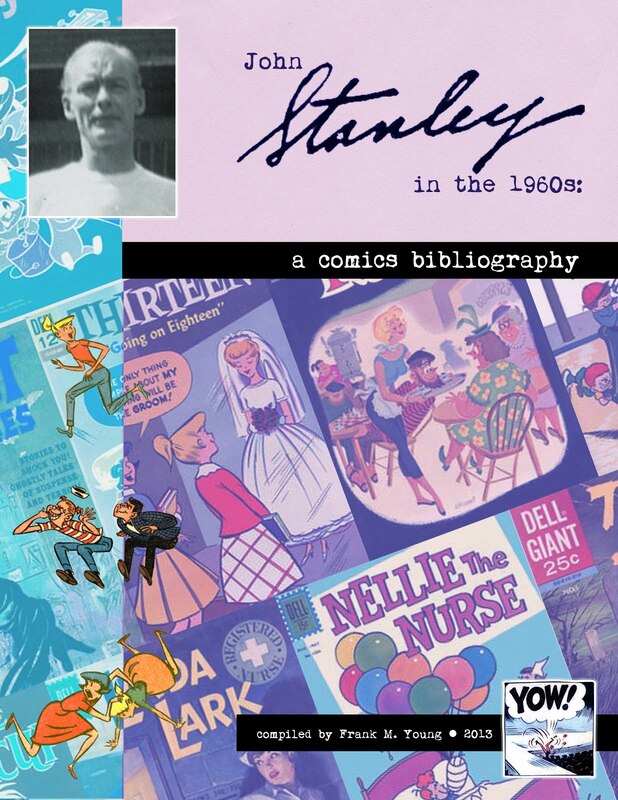 This file includes a three-page piece on the series I've written. It does not, by far, contain all my thoughts on "Tramp Doctor." 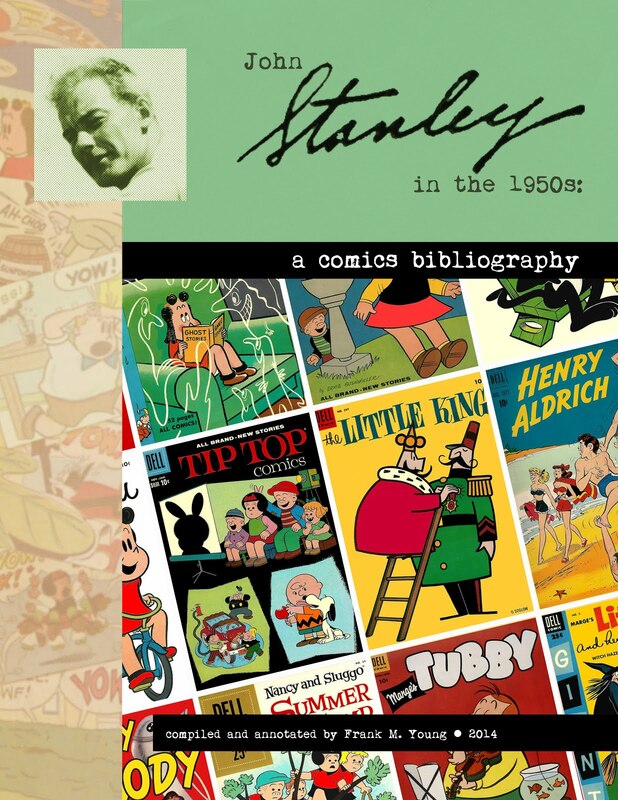 I have more to say about this series -- and about all of John Stanley's work.